Lately I have been eating a new diet to try to stay in ketosis and burn fat. A lot of stuff I used to eat I can’t eat anymore so I am experimenting with new recipes. 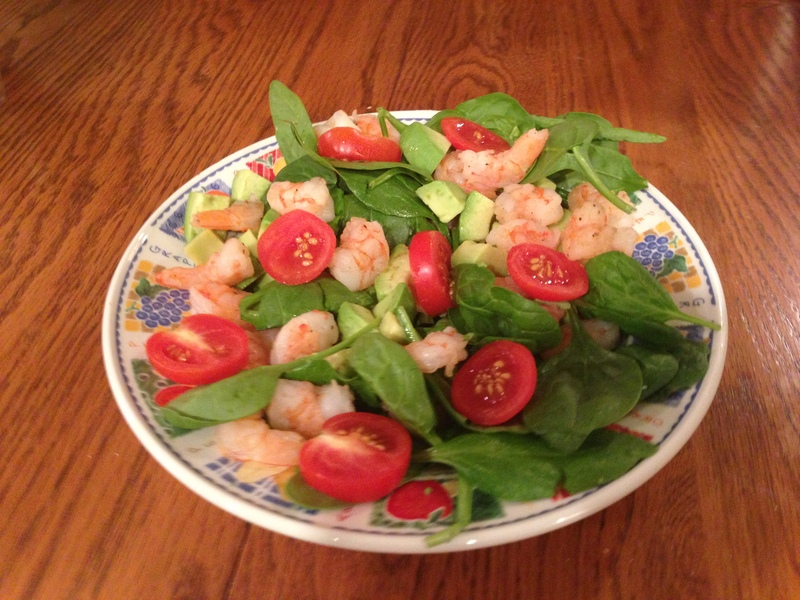 This ginger shrimp and avocado salad is a great meal for staying in ketosis because it is very low on carbs and high on healthy fats while also tasting delicious. Melt some coconut oil in a pan on medium heat. Slice ginger root and add to pan. 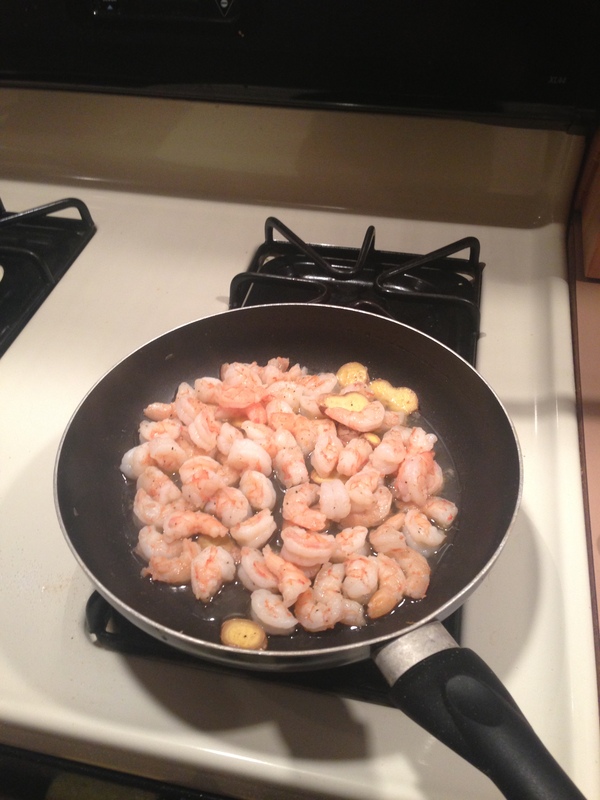 Remove shrimp shell and season with salt and pepper then cook in pan. While shrimp os cooking in pan, add garlic and ginger powder. Dice up avocado and tomatoes. 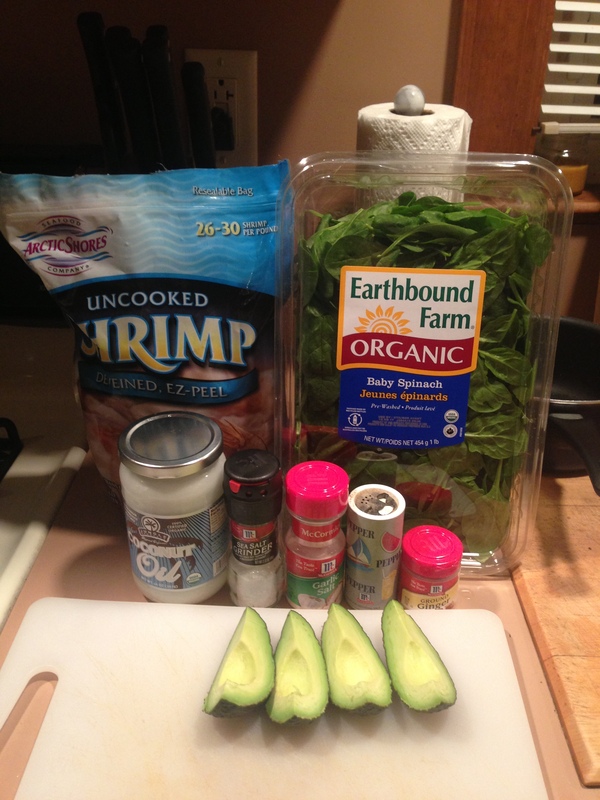 Add spinach, avocado, tomatoes and shrimp to salad bowl. I have eaten this a few times and absolutely love it. So far I don’t think it even needs a salad dressing because the seasoning on the shrimp is so good and full of flavor.